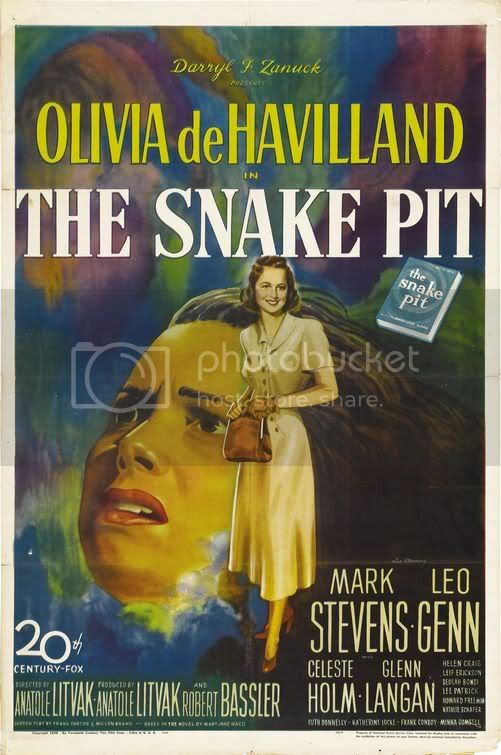 The Snake Pit is primarily a star vehicle for Olivia de Havilland. Two male stars round out the majority of the speaking roles, leaving the rest of the cast not more than a couple lines apiece. This isn’t necessarily a bad thing, however, as Olivia effectively pulls off a mentally unstable woman trapped in an exceedingly difficult mental health system. The opening scene does little to give away the plot. 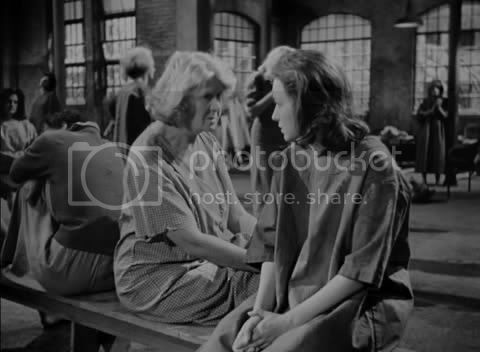 Virginia (de Havilland) sits on a bench, alone. But then a man speaks to her, and she is confused. Eventually, the lady next to her also speaks to her, but she doesn’t know why. Then she is led into a large building with big, strong doors, and is scared. “Why am I in prison?” she wonders. Upon talking to a couple different people inside, she figures she must be researching a novel, because she’s a writer. But then she is introduced to a man who claims to be her husband. Frightened, confused, she shrinks away; she remembers being married, but can’t recall a husband. Her husband is Robert Cunningham (Mark Stevens), and he has been working with Doctor Kik (Leo Genn) to figure out what may have gone wrong with Virginia. Their marriage is reconstructed through flashbacks, and much of the narrative is nearly as fractured as Virginia’s mind. It seems that Robert had some trouble with Virginia before, when she fled for no apparent reason. He moved from Chicago to New York and eventually they again crossed paths and fell in love again. But then she froze up, lost all memories of their marriage, and Robert had no choice but to seek professional help. Fortunately, Dr. Kik is a kind man. He has some crazy new ideas about talking with patients to help them, instead of merely pursuing chemical or electrical relief. Unfortunately, the mental health system in New York is broken, ensuring that he has hundreds of patients with little time to spend on any one case (in fact, many states changed their systems after the release of the film). By delving deeply into some recessed memories he eventually uncovers some past traumas that have continued to haunt Virginia. The path is not smooth, however. The staff of doctors are in a hurry to release her and their rush causes further problems for her recovery. She occasionally moves up and down the different wards, eventually finding herself in Ward 36 toward the end of the film. Here is where the most psychotic patients are crept, and here is where the movie’s best scenes occur. High ceilings, deep shadows, and crazy characters imbue the setting with a maniacal madness. Some of the elements have been used in future horror films, including the woman whose hair hides her face. 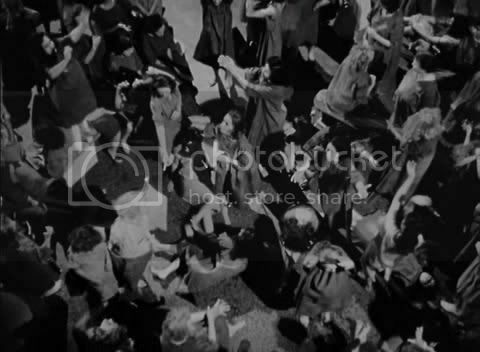 One masterful shot pulls up from Virginia standing in the middle of this “snake pit,” until eventually she becomes almost lost in the writhing agony of the other patients. Other aspects of The Snake Pit have also been reused by more recent films. 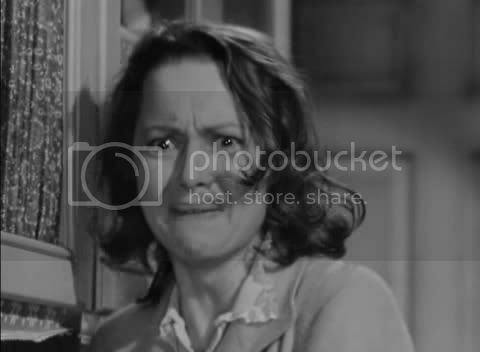 Nurse Davis (Helen Craig) is practically the pre-incarnation of Nurse Ratchet from One Flew Over the Cuckoo’s Nest. 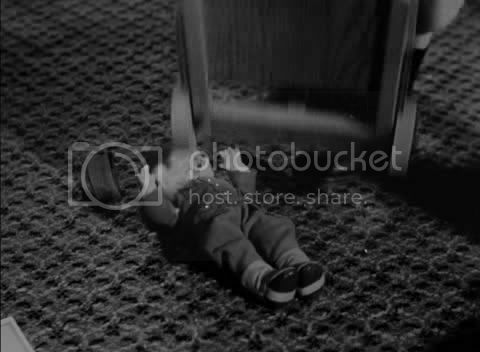 Extended scenes detailing the psychoanalysis of Virginia pre-visage similar ending sequences in films like Psycho. It is clear that psychoanalysis was coming into its own at the time, as evidenced by numerous pictures of Freud in the hospital. In many ways, the setting and time are recently mirrored in both Shutter Island [review here] and Changeling [review here]. The Snake Pit is an interesting film, primarily for its real-world effect on the mental health system. Some interesting shots of the scary and creepy patients paved the way for other films concerned with mental illnesses. The entire movie looks quite nice, and is very open about its intentions, like many movies of the 1940’s. There is not much room for subtlety, and it is quite apparent that The Snake Pit is intended to be a “message movie.” This is not necessarily a bad thing, though it certainly embeds the film in its historical setting. Memorable for a pivotal performance from de Havilland, the movie also serves as a reminder of the mistakes made by early psychologists. This entry was posted in 2.5 pirate flags, 3 stars, Movie Reviews, Pirate Flag Rating, S, Star Rating on June 6, 2010 by Tim Irwin.